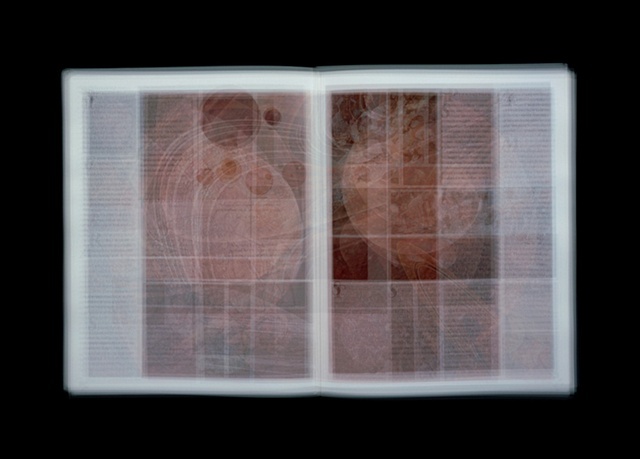 As an artist with a background in graphic design, Doug Keyes is hyperaware of the ways in which information and images are conveyed to the public. 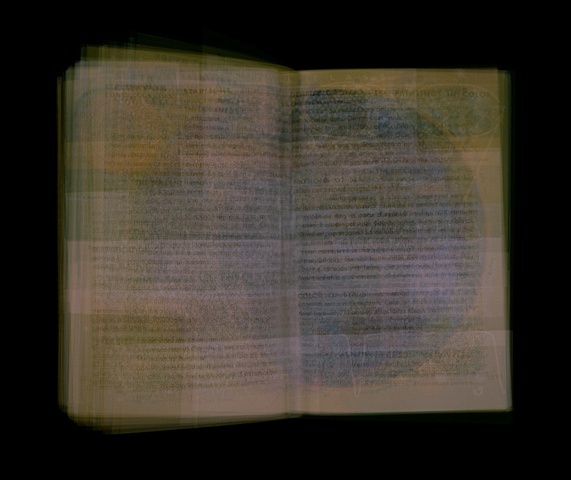 He is equally aware of the way knowledge stacks upon itself over time, leaving an impression or collective memory. 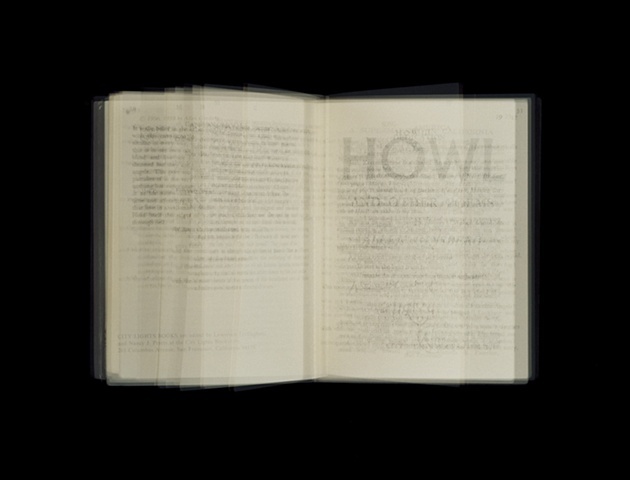 Using books and documents from Keyes’ own collection as well as friends and relatives personal favorites; the topics cover a broad spectrum of inquiry, invention and expression. 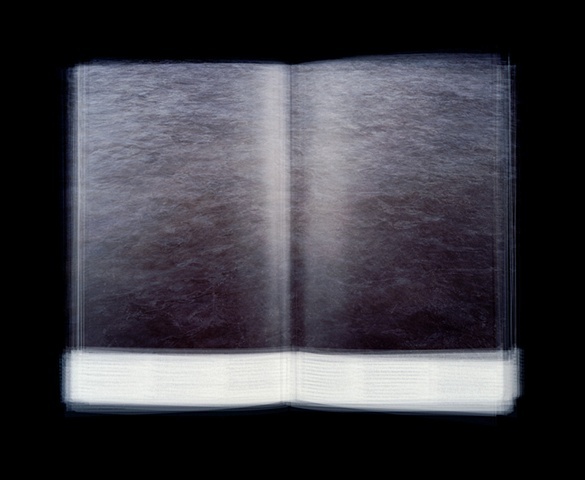 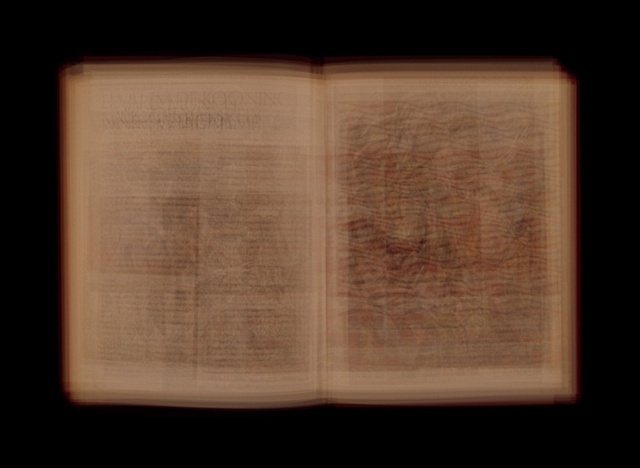 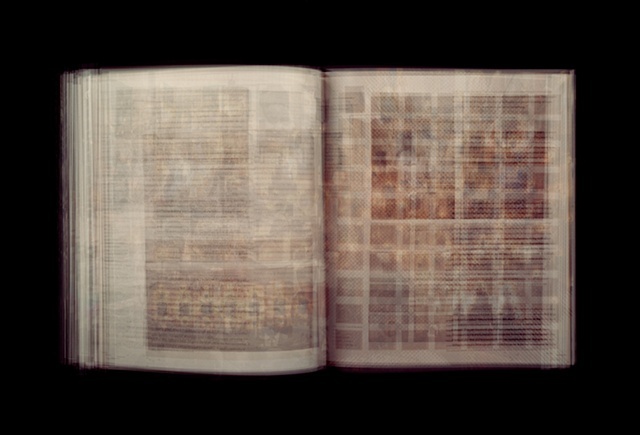 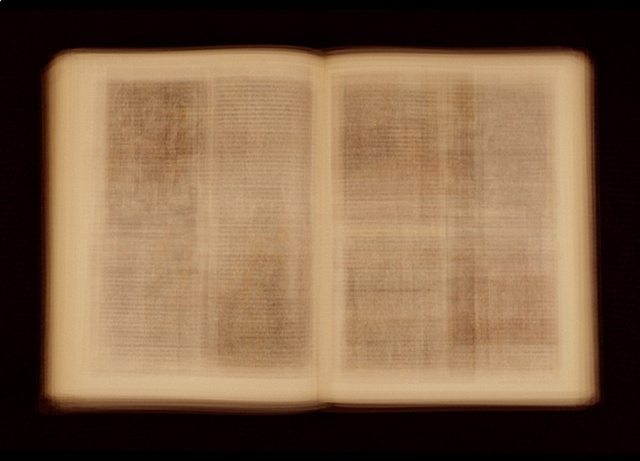 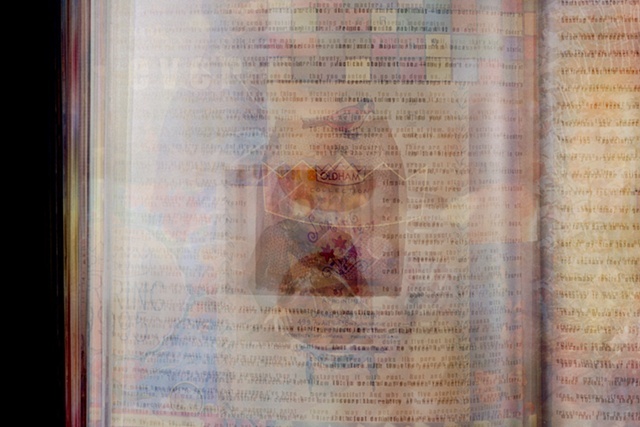 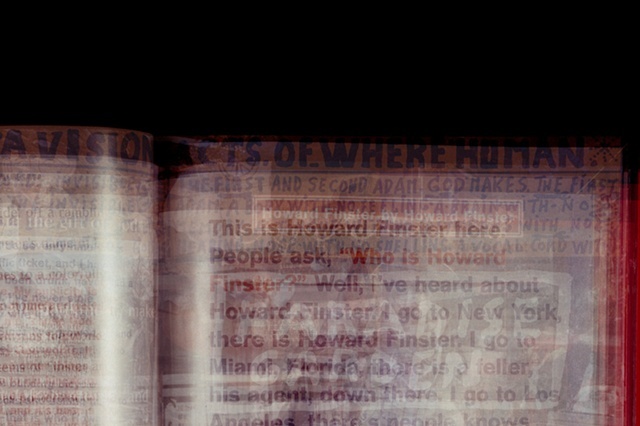 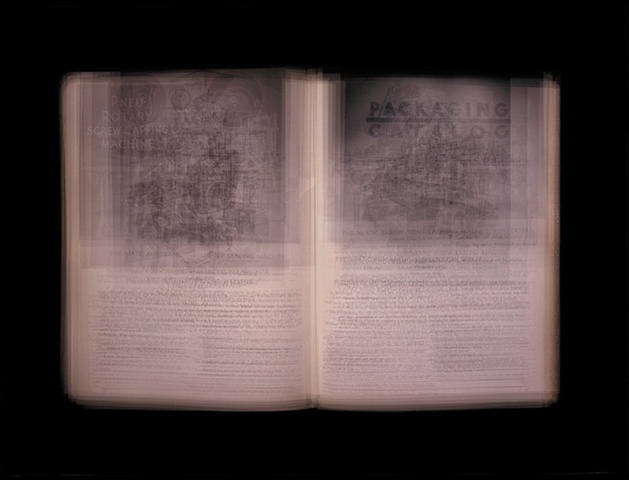 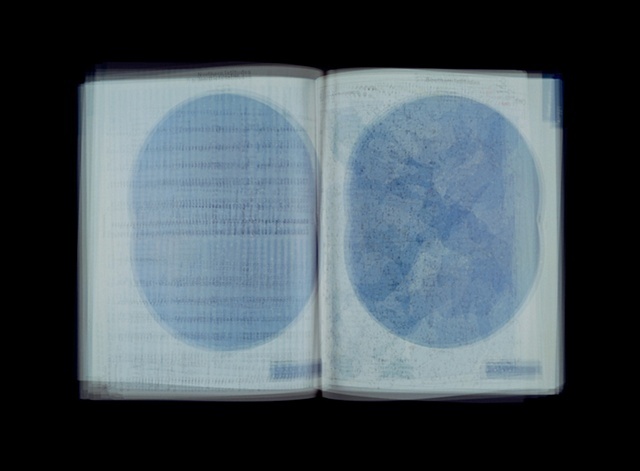 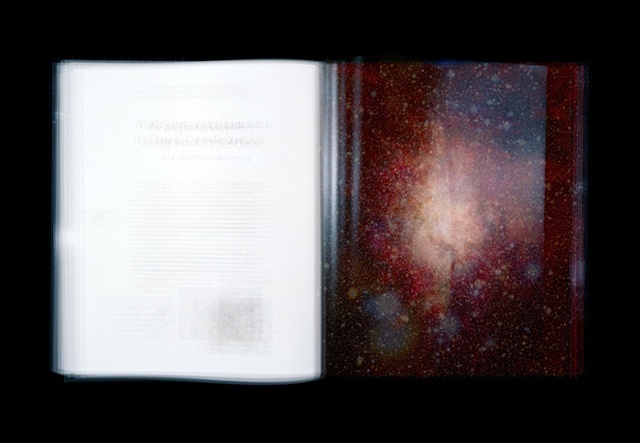 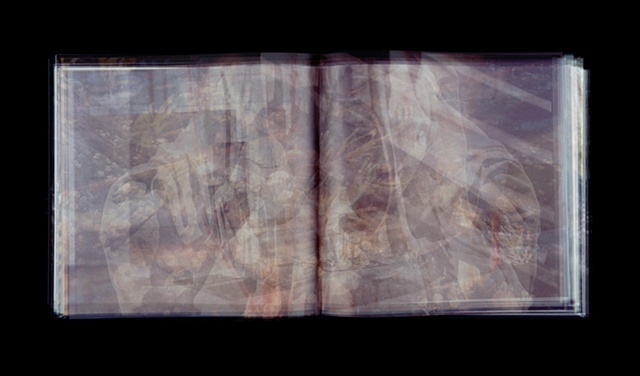 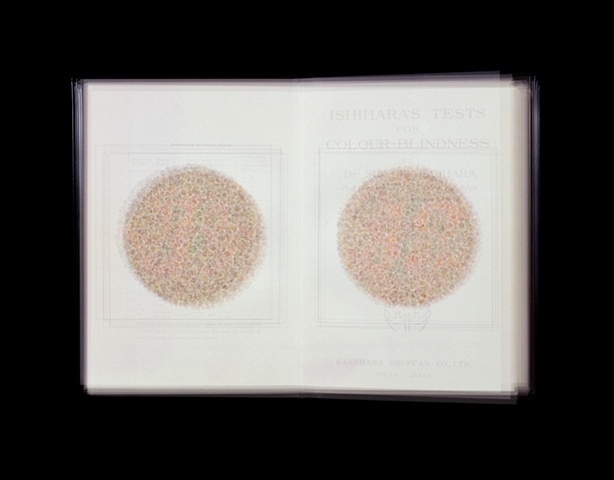 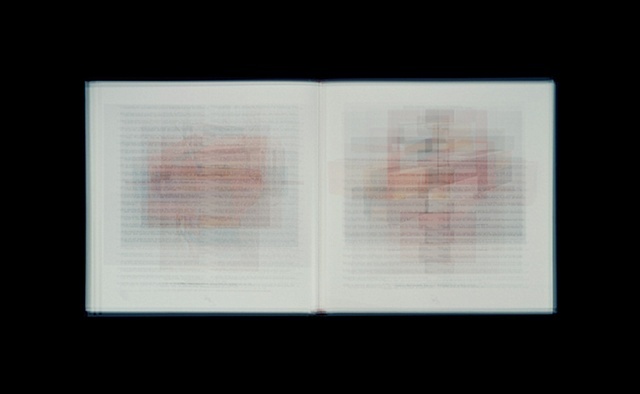 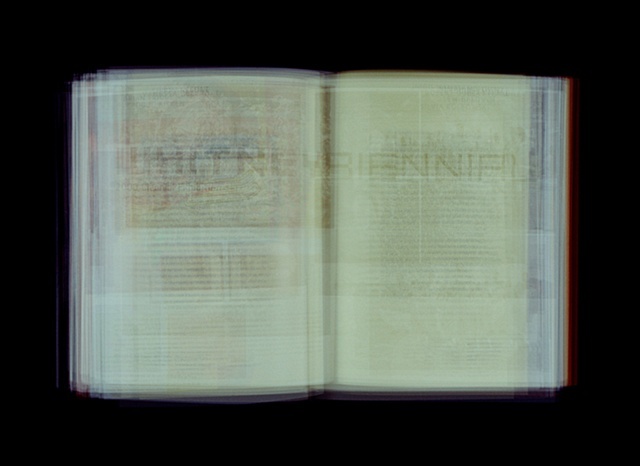 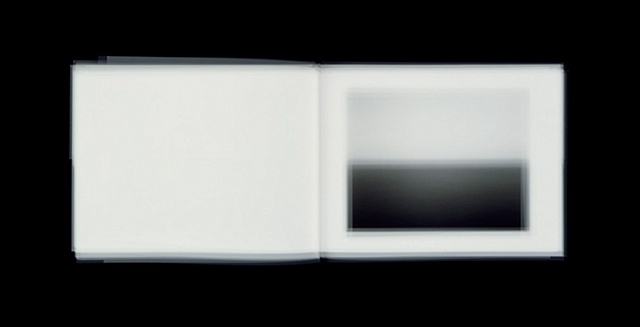 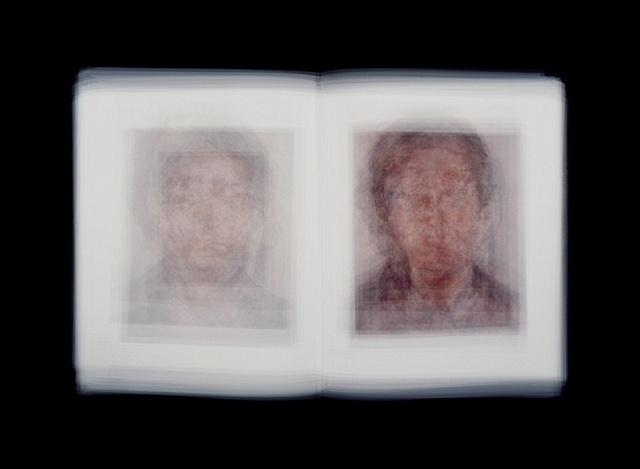 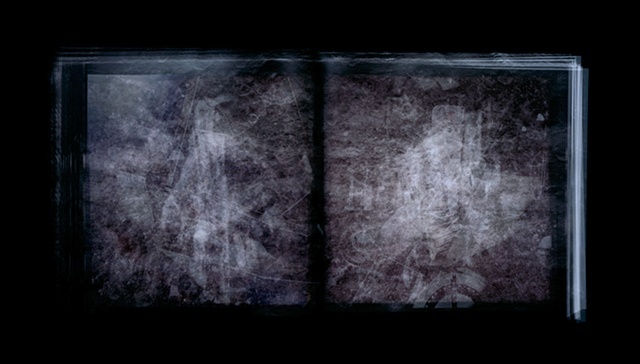 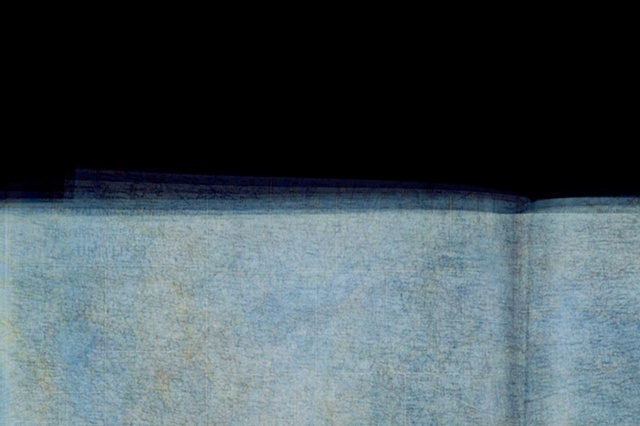 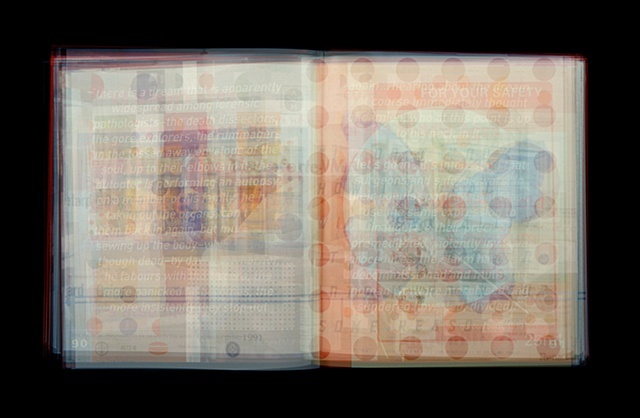 Produced with multiple exposures of all the pertinent pages of each book, Keyes’ luminous color photographs reveal (or conceal) the entire contents in a single image. 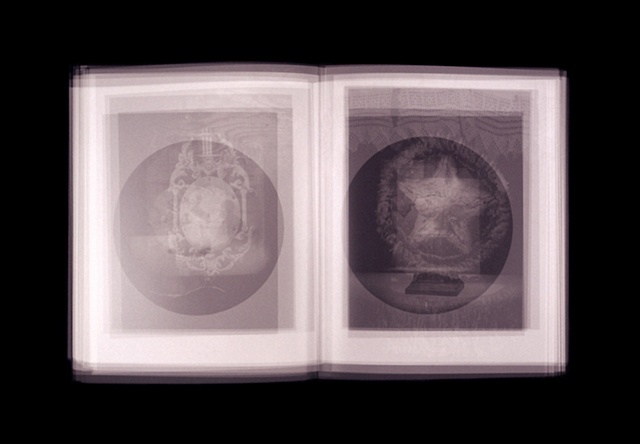 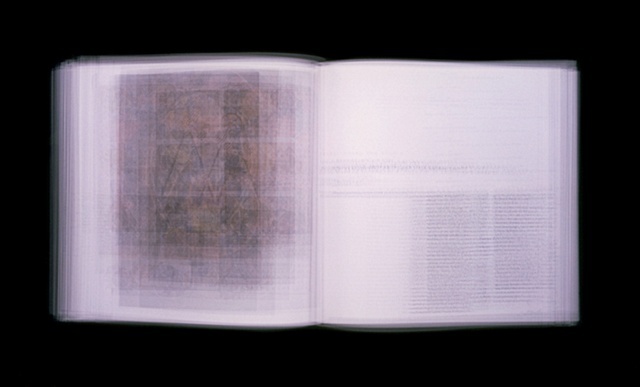 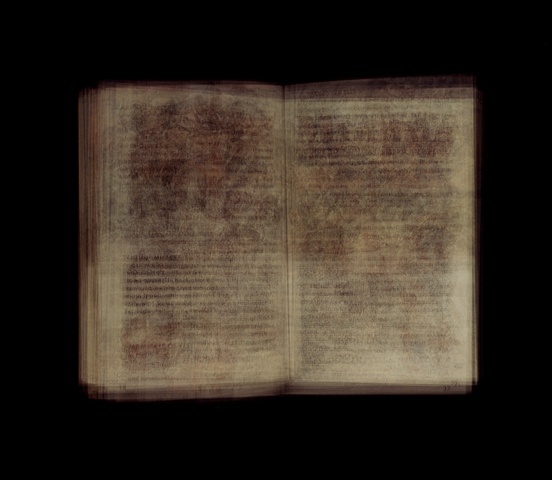 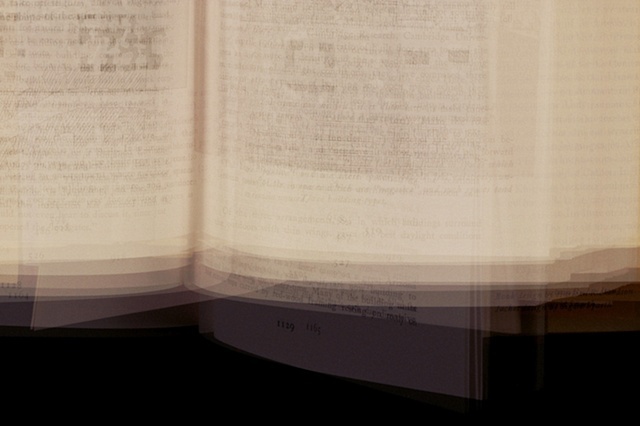 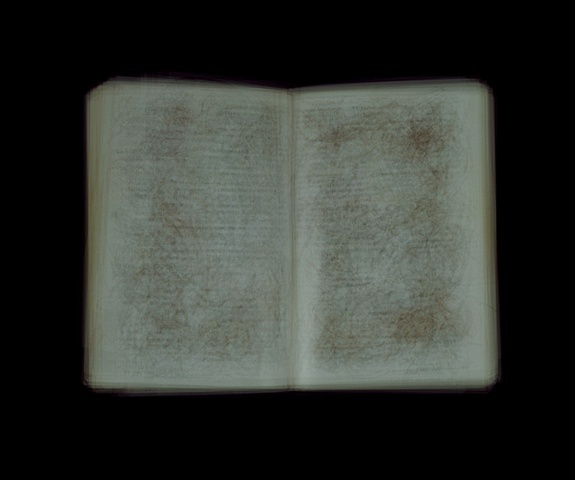 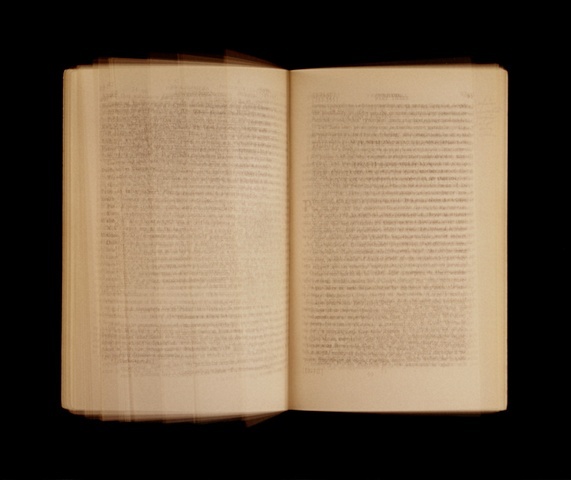 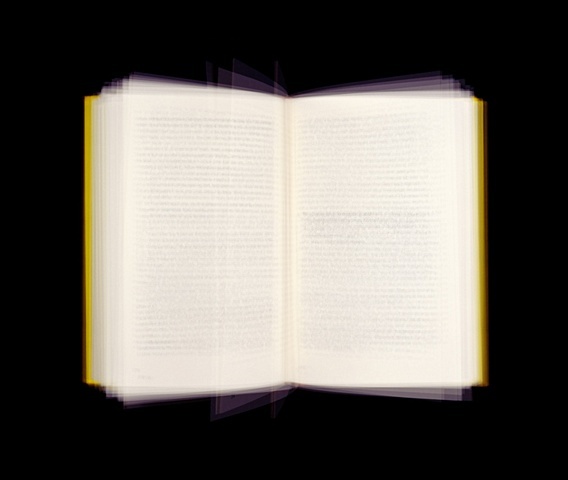 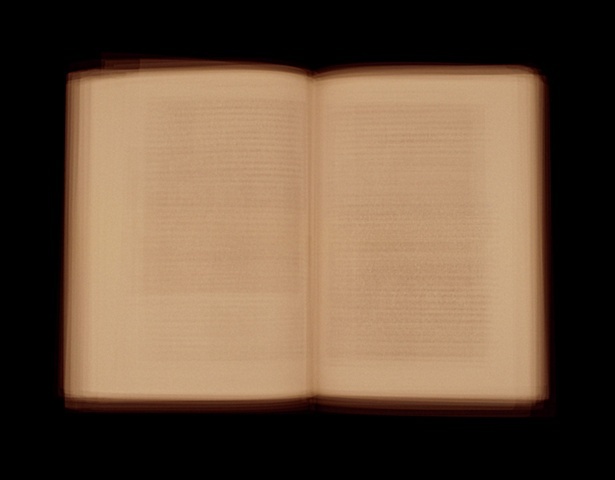 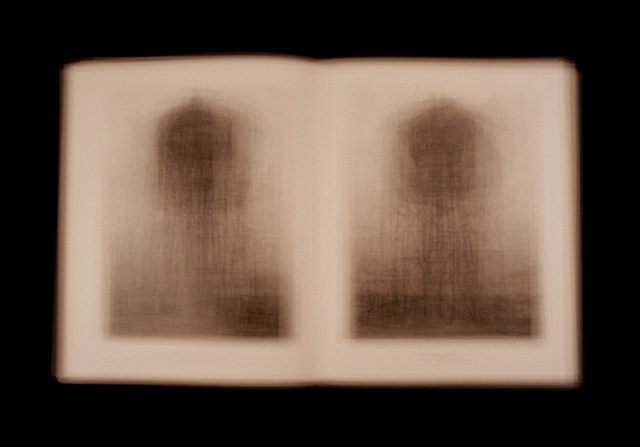 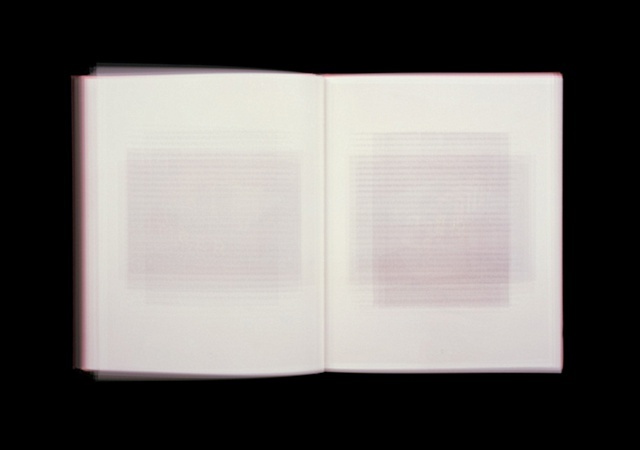 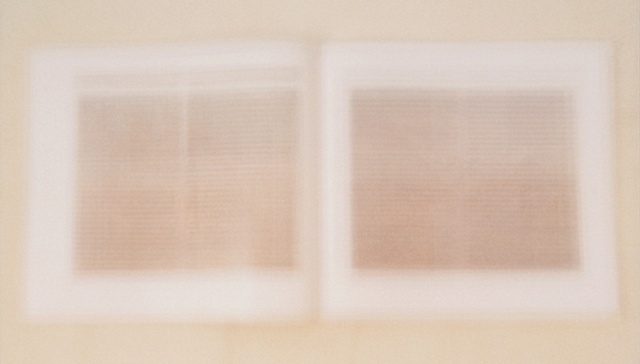 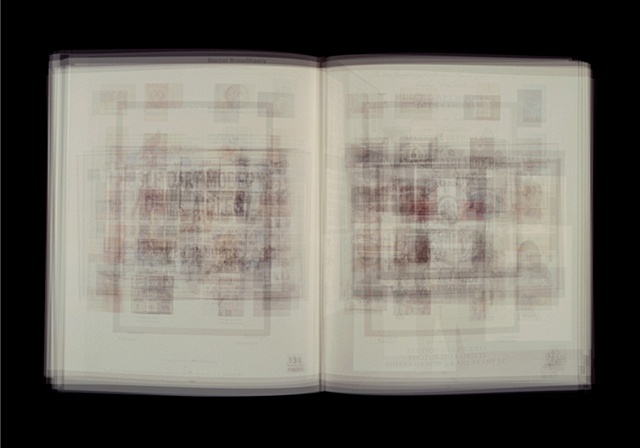 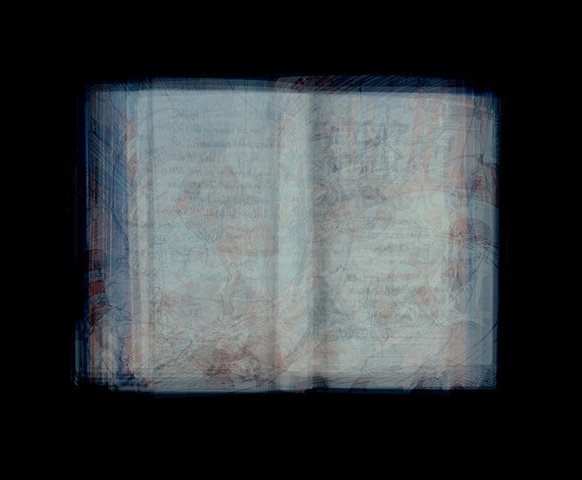 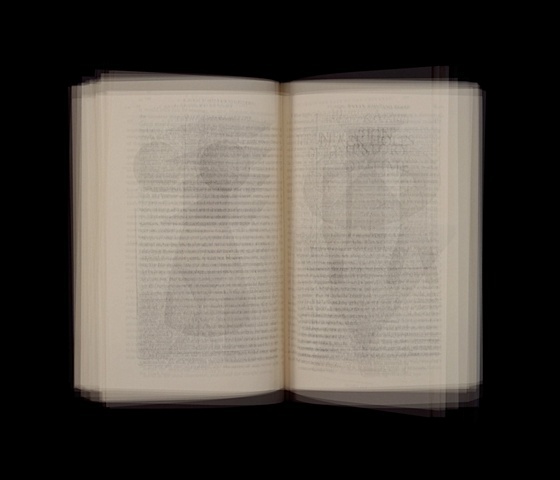 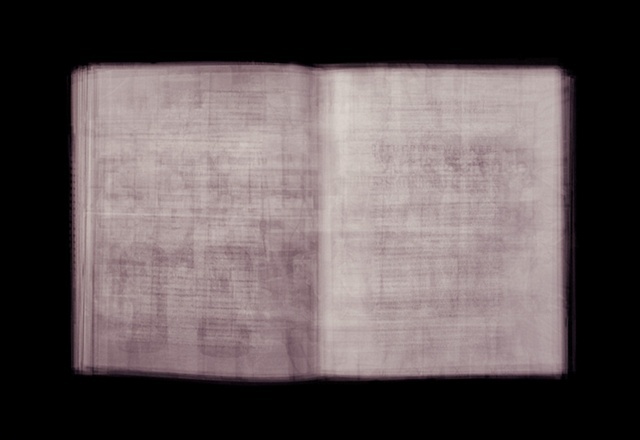 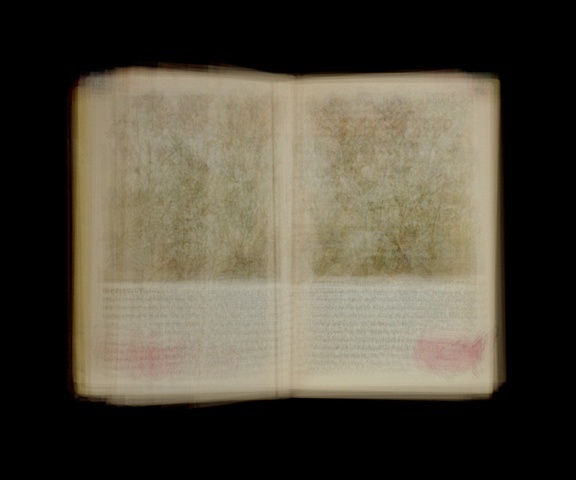 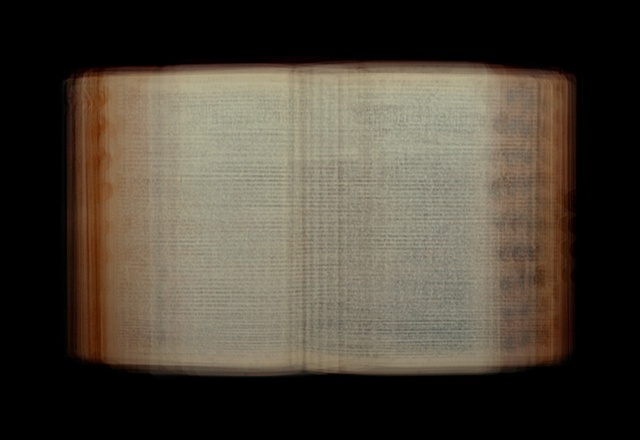 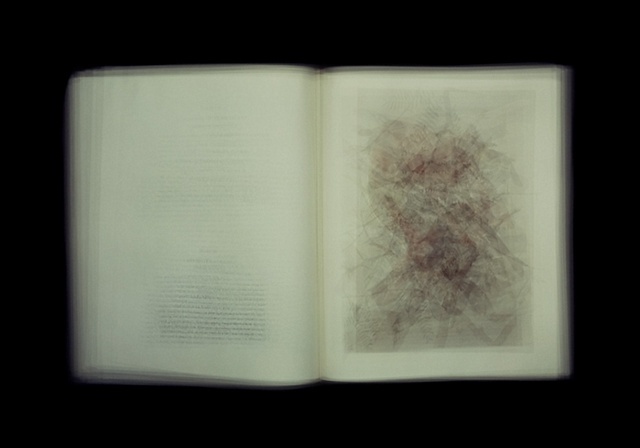 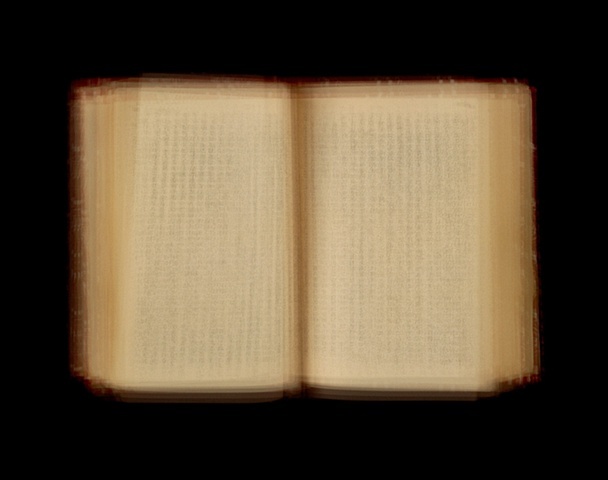 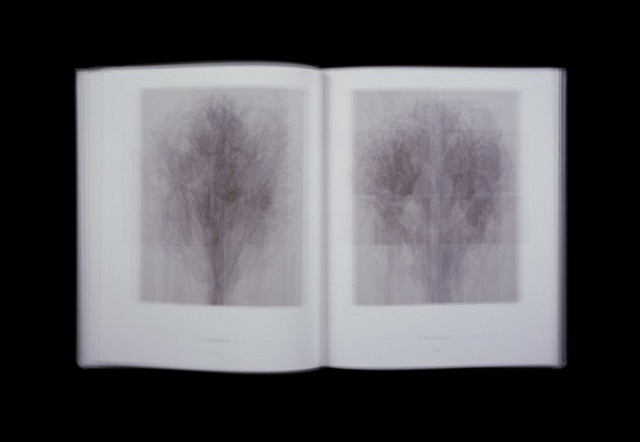 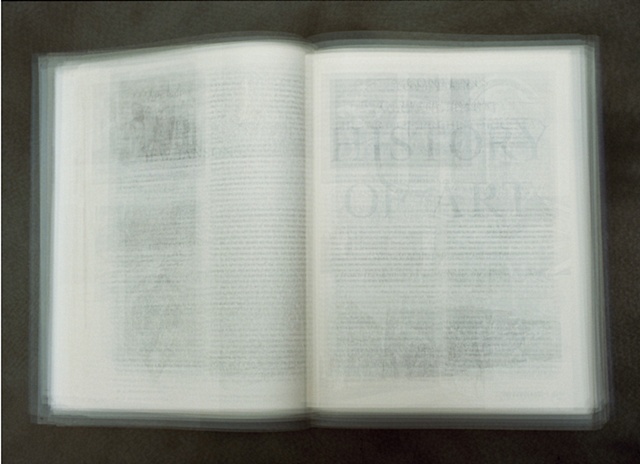 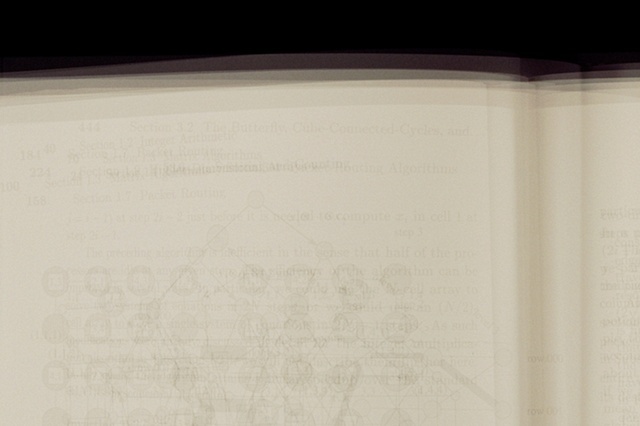 The result is a condensed document of the ideas contained within as well as the physical identity of the book itself.